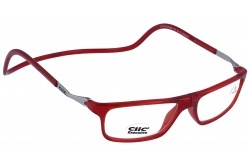 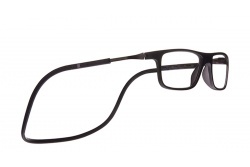 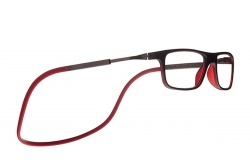 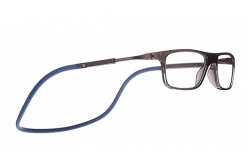 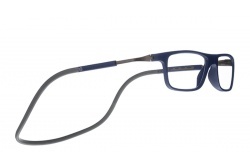 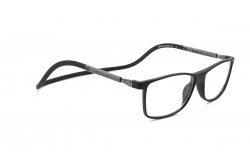 All our Clic reading glasses are glasses with a revolutionary magnetic front closure system. They are very comfortable to wear and when you take them off, you will never lose them because they remain hanging around your neck. 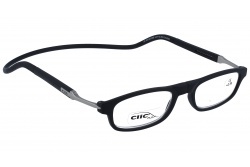 Clic frames are made of polycarbonate and come with a regular extendable rod for a better adjustment. 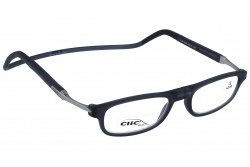 These reading glasses come with corrective lenses of standard powers: +1.25, +1.50, +1.75, +2.00, +2.50 and +3.00. They also offer the possibility to adapt corrective prescription lenses on their frame, in any power from +0.00 to +6.00. You can even choose a different power for each eye. 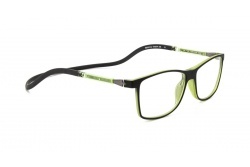 Visit Optical H and choose your favourite Clic reading glasses.